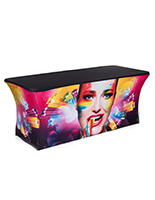 This 6 foot backlit custom scrim cover and table set provides a unique solution for impactful trade show or DJ booth branding. 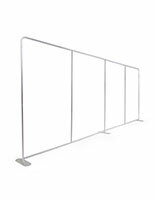 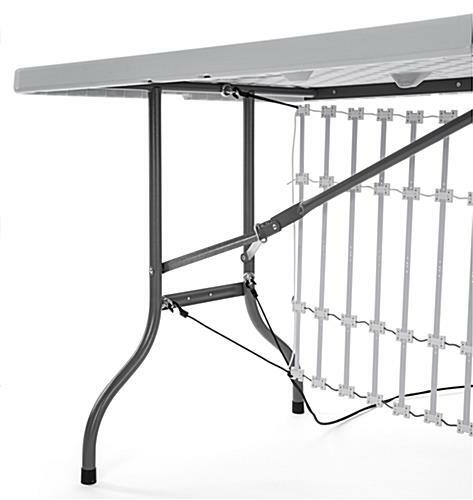 Each kit includes bright, rollable LED curtain lights with 6 magnetic hooks, a 72" folding table with molded top and steel legs, and a customized contoured tablecloth. 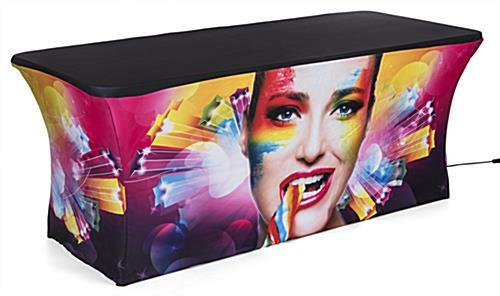 On the front and 2 sides, your custom printed graphics are applied to the spandex fabric using a high-resolution dye sublimation process, resulting in vibrant imagery with saturated colors. 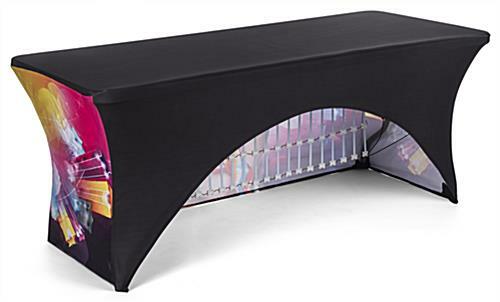 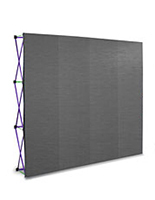 A solid black top and open-back design finish the professional look of each rectangular 6 foot backlit scrim cover and table set. 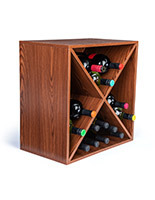 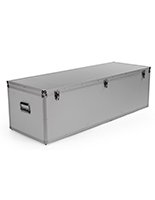 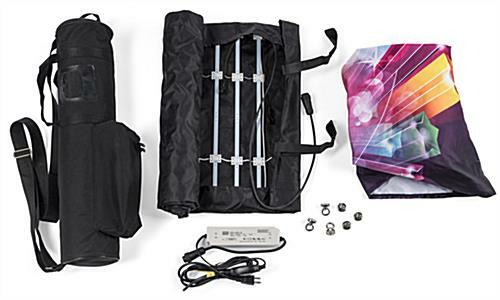 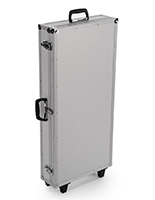 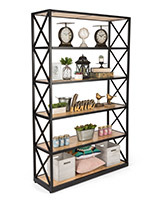 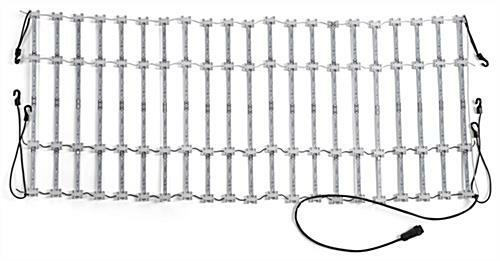 Roll up the bright LED curtain lights and store in the included zippered case for easy transport. 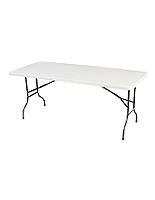 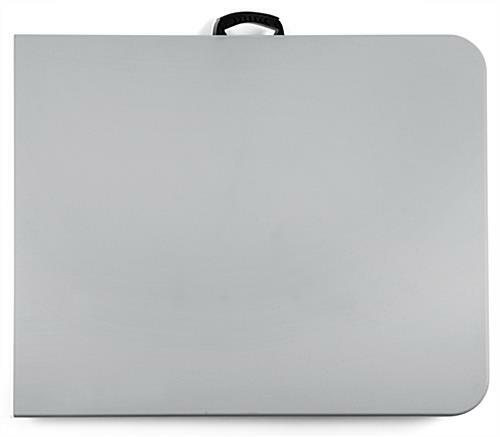 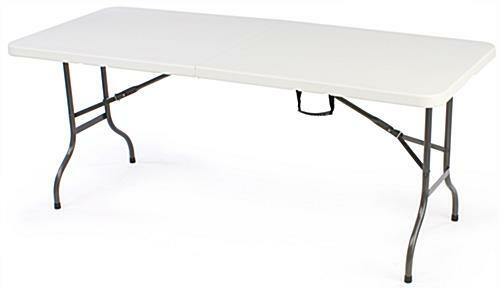 The sturdy molded tabletop has a built-in carry handle and folds down to 36" wide by 30" long, ready to fit in most vehicles. 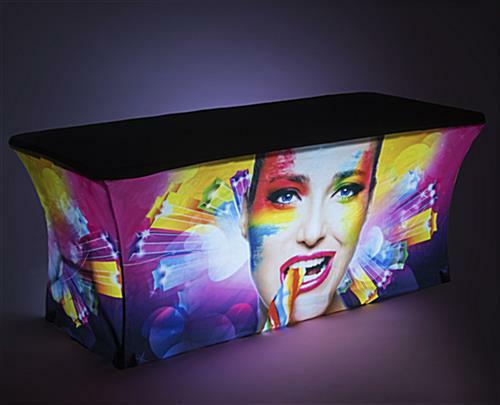 Create a lasting impression at your next special event with the modern look of high-quality graphics and an LED illumination on a backlit scrim cover and table set.